I just walked past the 21 Balançoires at the Quartier des Spectacles in Montreal. I have to say, it is something that made me smile and enjoy the brief moment of nice weather this afternoon. It seems to have this effect on many people who try them out. It is the random music, it is getting on a swing, swinging next to people you don’t know, making a small connection. It is a bit of fun in our urban setting. All of a sudden you are laughing and making jokes about bathtubs and seeing things in a new light. You are also getting lost in the music you help to create and wondering how does this work? When I am at my African dances class lead by Claudine Malard, I sometimes think about how I am pretty static most of the time. I am sitting at my desk, sitting on the metro, sitting as I read the news or read a book, sitting to watch a movie and sitting when I chat with friends. It is almost like I became an adult and all of that fun in kicking it up, as kids do, went out the window in the name of responsibility and being mature. My dance class is recreation and re-creation. I unload my mind, I learn new moves, I laugh a bit and for sure, my day gets a whole lot better. 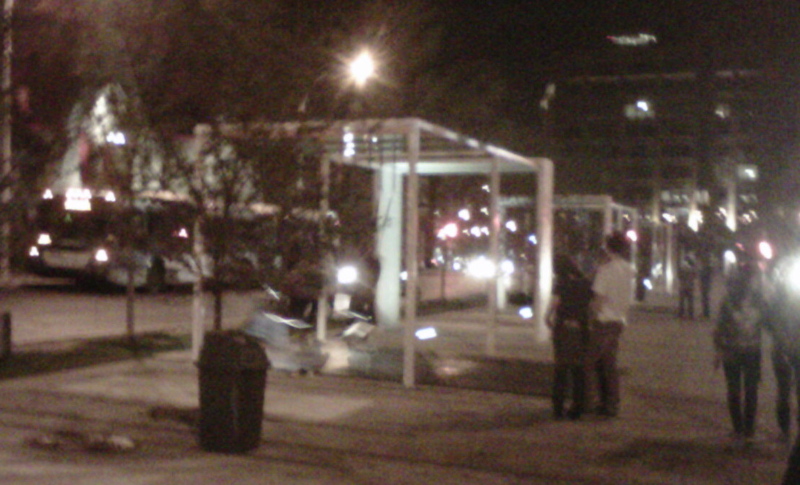 The same sort of thing happened at the swings today too. So, if you have a chance, get out there and try those swings BEFORE May 23rd. You will love it! 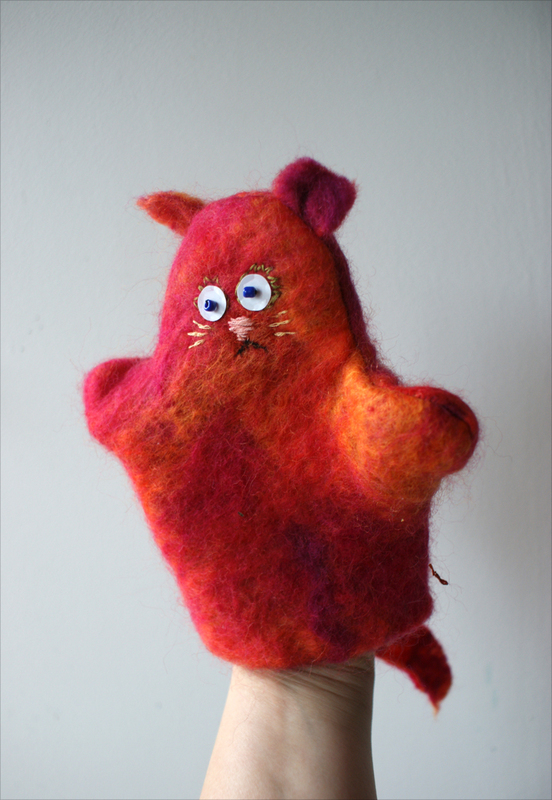 I gotta hand it to you… DIY Hand Puppet! 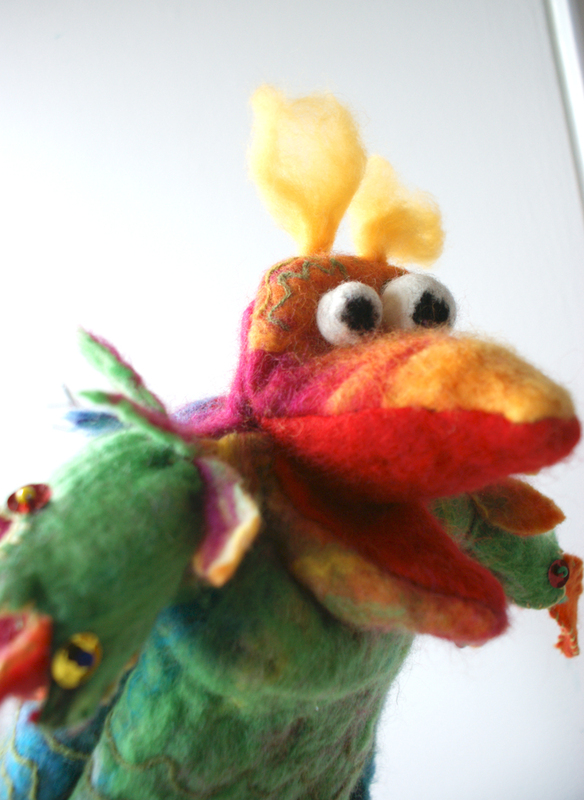 Hand-puppets… they are fun, functional, and CUTE. Capital “c” cute. Cute! They are easy to make, and you can combine your imagination with whatever materials that are available to make something pretty cool. My first puppet. He likes the piano. To start, find some fabric that is big enough to fit your hand with fingers spread widely, twice. 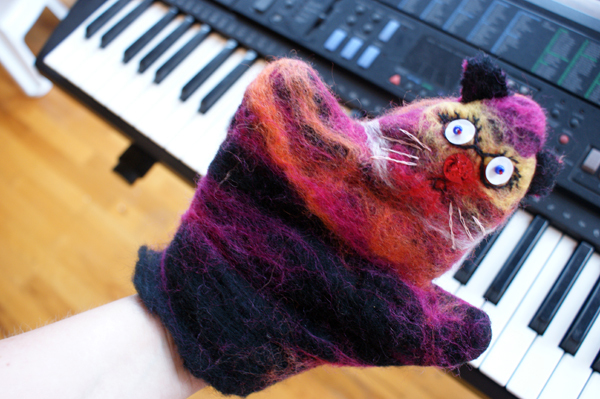 When I made my puppets, I used hand-made felt. You can use any type of fabric if you have access to a sewing machine… otherwise (for hand-sewing) I recommend a non-fray fabric such as felt. The first thing to make is a template. The template is your pattern. If you are happy with your puppet, you can re-use your template for future puppets. 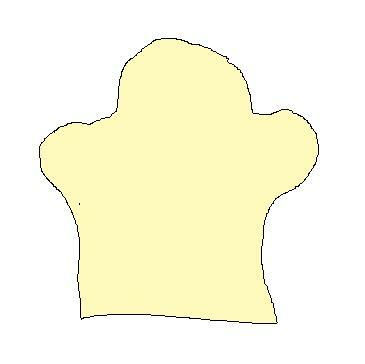 If you are unhappy with an aspect of your puppet, the template can be adjusted. When you have a general shape for the template, cut it out. You can then use this to cut out two pieces of your fabric. Simply sew them together and decorate. Puppet. Keep in mind before you sew the pieces together, however, that this is a good time to add things such as ears! Some would prefer, also, to add a face or other features before sewing it together. I prefer to see what my final shape is before doing that. Have fun with your new pal! After I had adjusted my template, I made some more puppets. After a short time I got more ambitious with puppets. See what YOU can come up with!